In 1840, the first P&O passenger ship sailed into the port of Southampton. This was just the beginning, and since 1982 the port has been owned and operated by Associated British Ports. Now, the Port of Southampton is the busiest cruise terminal and second largest container port in the UK. Associated British Ports have invested more than £40 million in the four cruise terminals which host popular cruise lines such as P&O Cruises, Princess, Cunard, Royal Caribbean, Celebrity, MSC, Carnival, and Fred Olsen. Taking a cruise gives you relaxation from the beginning. As soon as you get to Southampton your holiday can begin. There’s no hectic airports or restrictions on baggage, you can just grab a coffee or something to eat at one of the many excellent restaurants in Southampton. For more information on things to do in Southampton including tourist information points, and places to store your luggage, please click here. To download or print a PDF version of the Southampton terminal information, just click this link. The QEII terminal has been the subject of more than £5 million worth of refurbishments in recent years. It has been set up to make your departure or arrival as quick as possible. The installation of a state of the art ship-to-shore walkway ensures that a greater range of cruise ships can access the terminal and improves overall passenger flow. Ocean Terminal has a host of amenities to make your experience as easy and comfortable as possible. Address: Dock Gate 4, Cunard Road, Southampton, SO14 3QN. 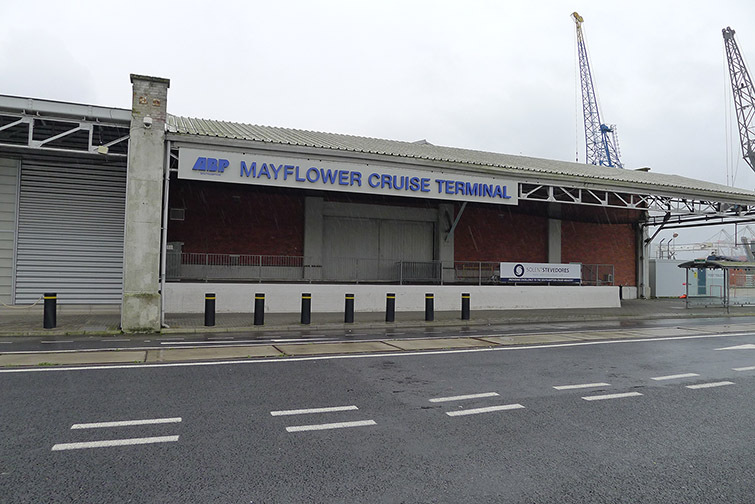 The Mayflower Cruise Terminal underwent a multi-million pound refurbishment in 2015. It’s now a spacious terminal with comfortable seating and includes additional x-ray machines for baggage making embarkation even easier. Address: Berth 106, Dock Gate 10, Southampton, SO15 1HJ. 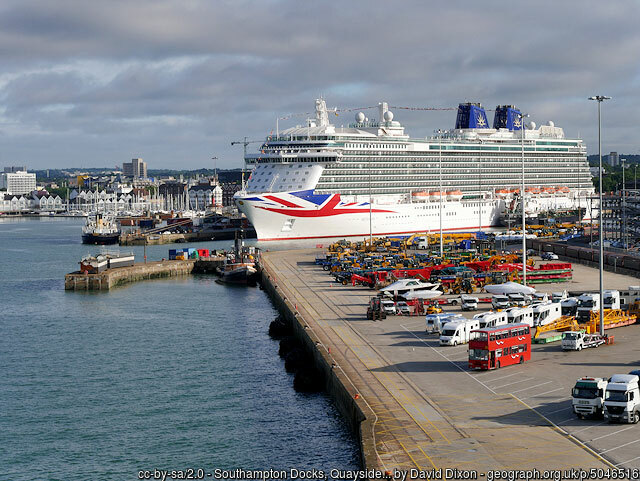 The City Cruise terminal has been built to accommodate the larger cruise ships that visit Southampton. 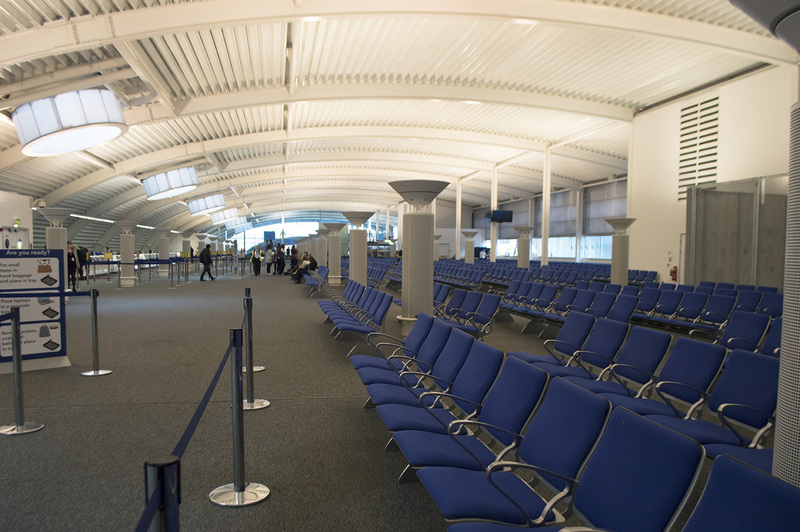 There is a comfortable arrivals lounge with seating and is open to the public. This means that if you have family and friends coming to meet you, they can wait inside. 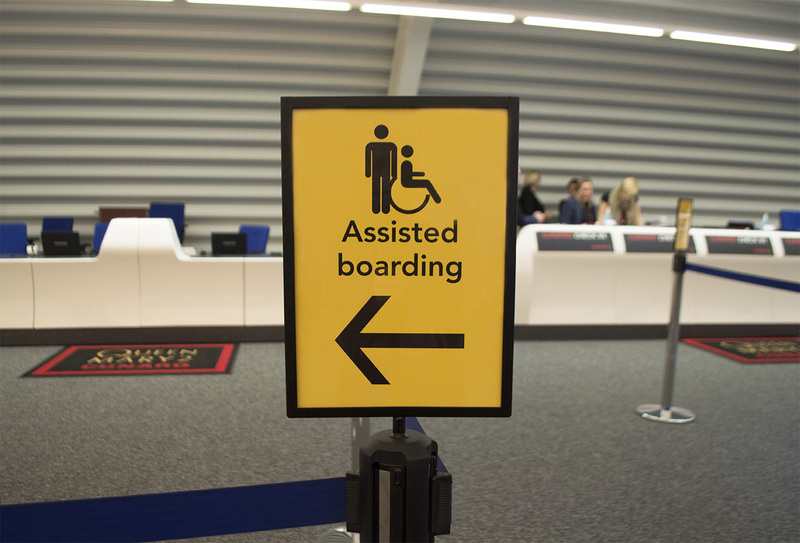 The cruise terminals in Southampton are fully accessible throughout for passengers with mobility issues with disabled toilets and parking. We supply wheelchairs for each terminal so that you can be taken straight on to the ship. One of the wheelchair assistance team will meet you at the designated meeting point and take you straight on to the ship. If you want to find out more about wheelchair assistance, then please contact your cruise provider for further information.